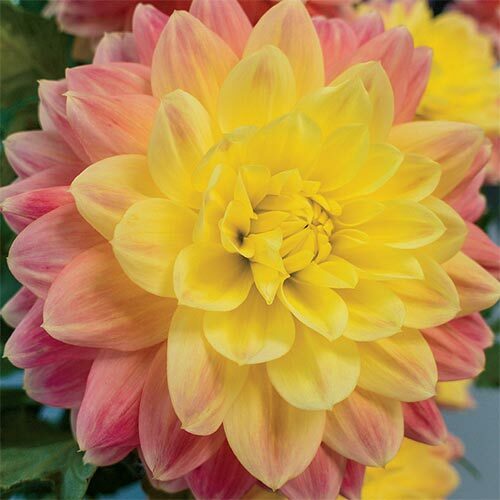 Salmon-orange with golden yellow centers. 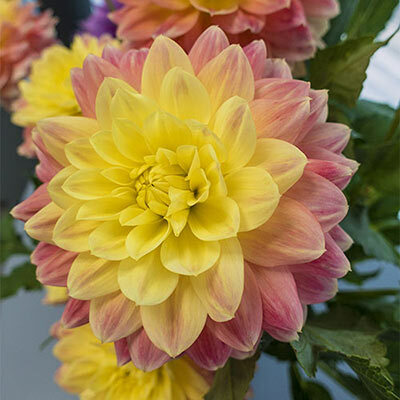 With their soft, quilled petals and vibrant colors, Dahlias add a burst of color and life to your late-summer gardens. Excellent cut flowers. 2" deep and 18-24" apart.